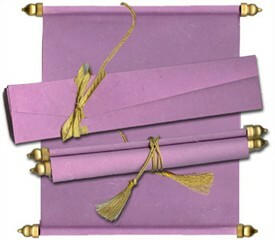 Description: A perfect symbolic representation of the happiness and celebrations that you would like to nurture, this scroll has all that you need. 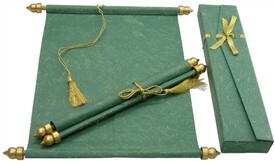 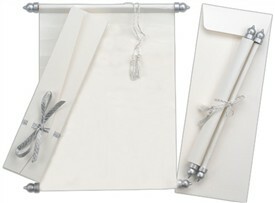 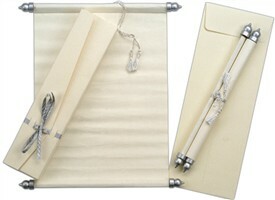 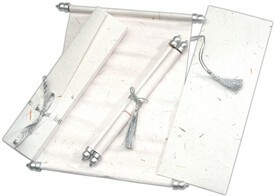 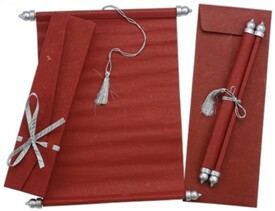 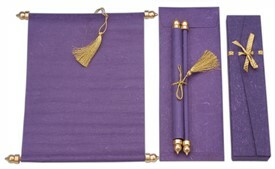 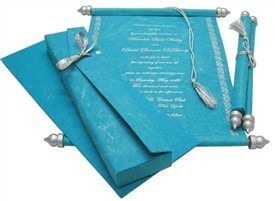 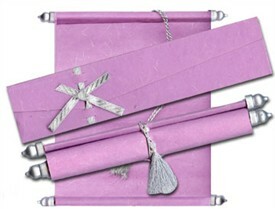 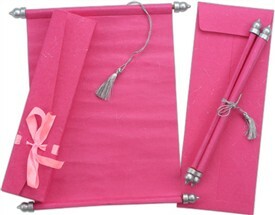 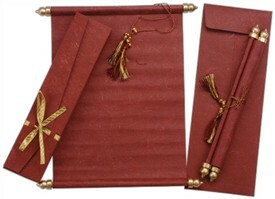 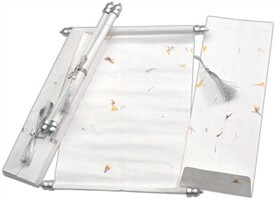 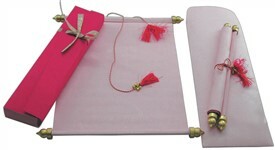 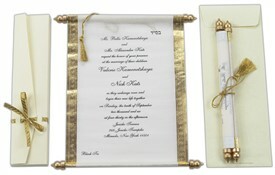 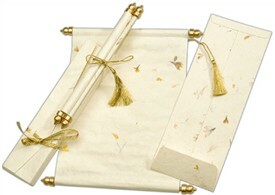 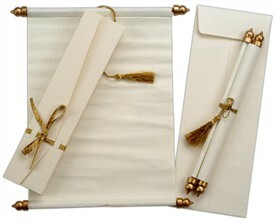 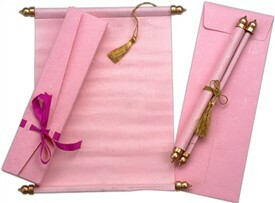 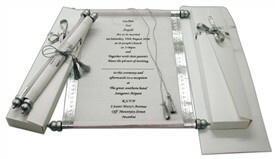 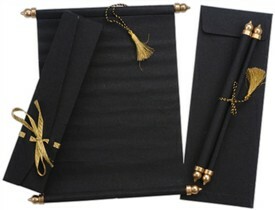 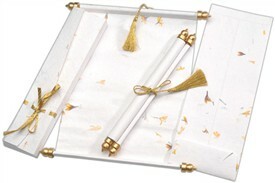 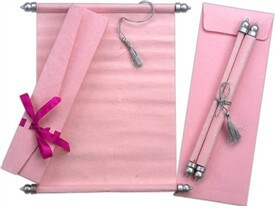 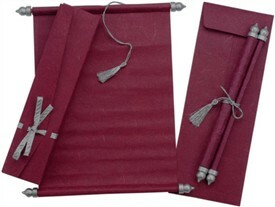 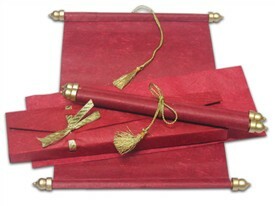 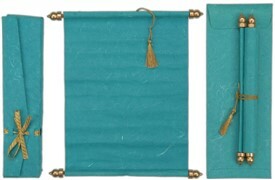 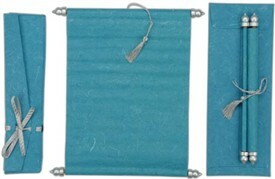 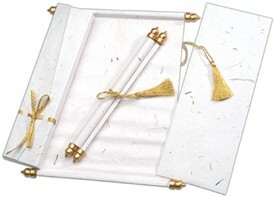 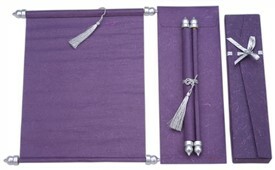 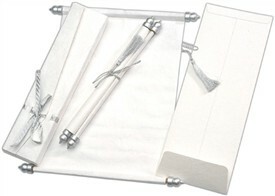 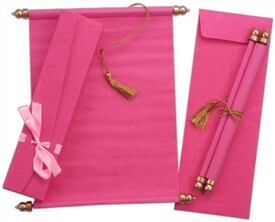 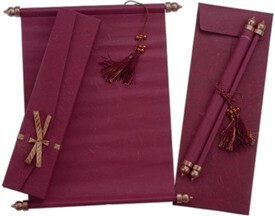 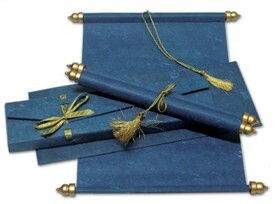 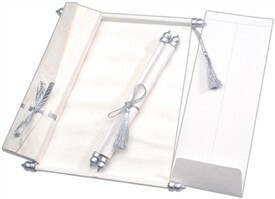 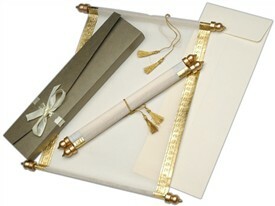 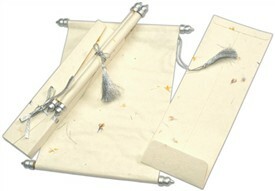 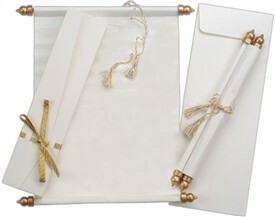 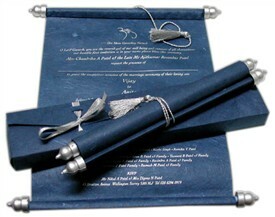 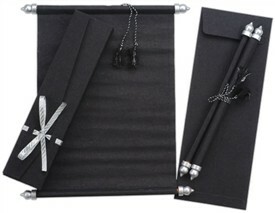 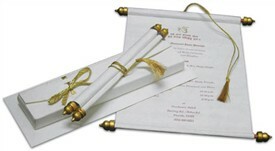 The scroll card is in green handmade silk paper sheet, there are silver design bars framing it and is tied by a silver tassel. 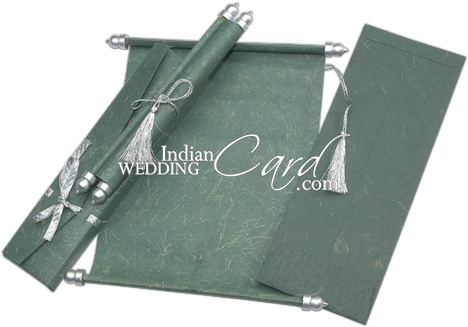 Paper: Green Silk handmade paper, scroll card (100gsm) with supporting silver bars and silk tassel and envelope (170gsm) tied by a silver Zari ribbon. 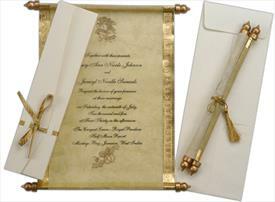 Printing Color: Silk Screen Printing in Golden Color.